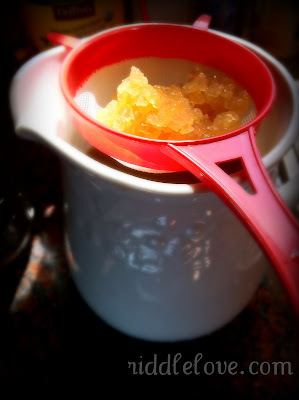 riddlelove: Water Kefir Grains WINNER! Hi there! The water kefir craze is spreading like wildfire! Trust me, your gut thanks you. For those who have been drinking it, have you noticed a flatter tummy and no bloaty feelings? I love those probiotic perks. Congratulations to the winner of some water kefir grains from Cultures for Health that was chosen by random.org: comment #29 which is Emily Murnen! Please contact me and give me your mailing address so we can get those happy grains sent to you. Enjoy, Emily!